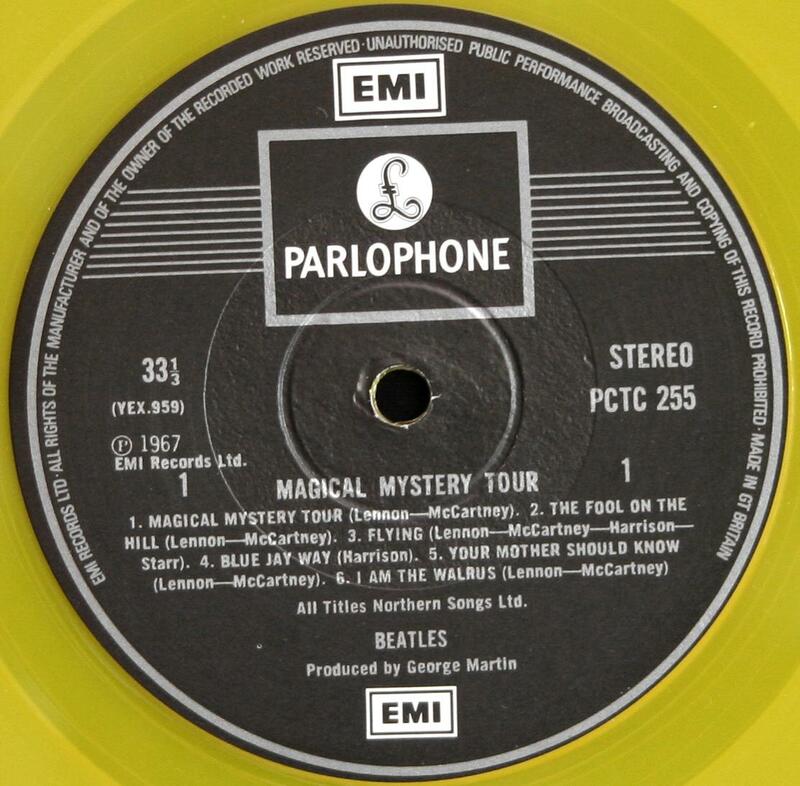 The Beatles Collection » Magical Mystery Tour, Parlophone PCTC 255 (yellow vinyl). 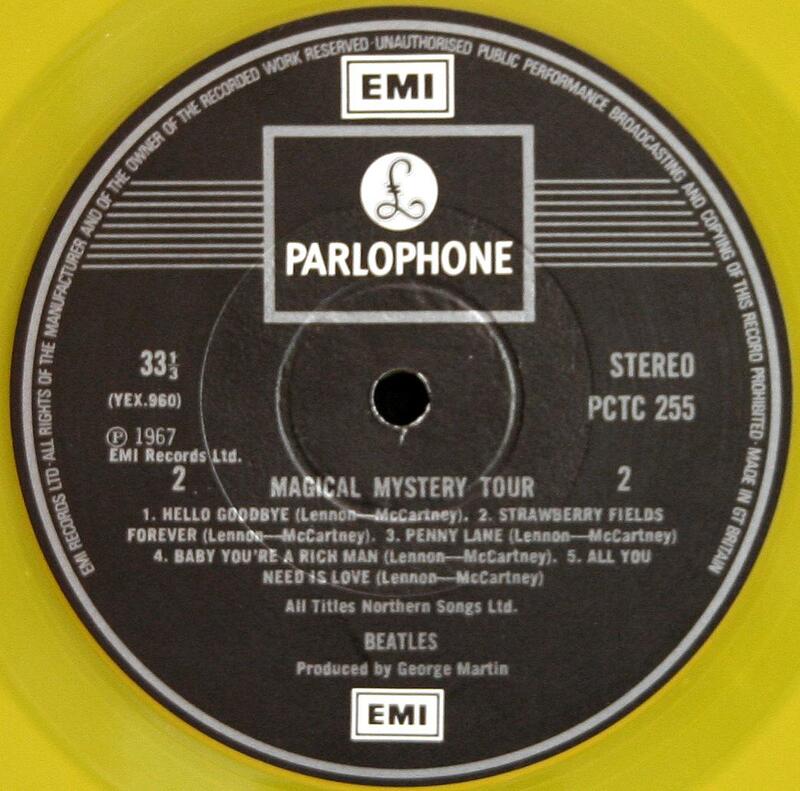 Magical Mystery Tour, Parlophone PCTC 255 (yellow vinyl). 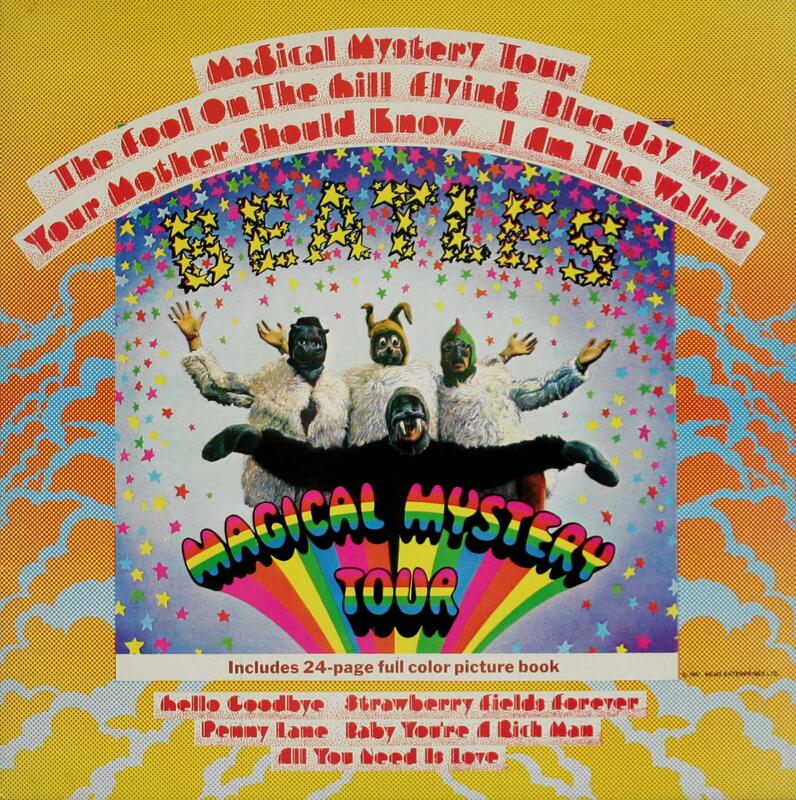 Magical Mystery Tour, Parlophone PCTC 255, 1978, stereo only. 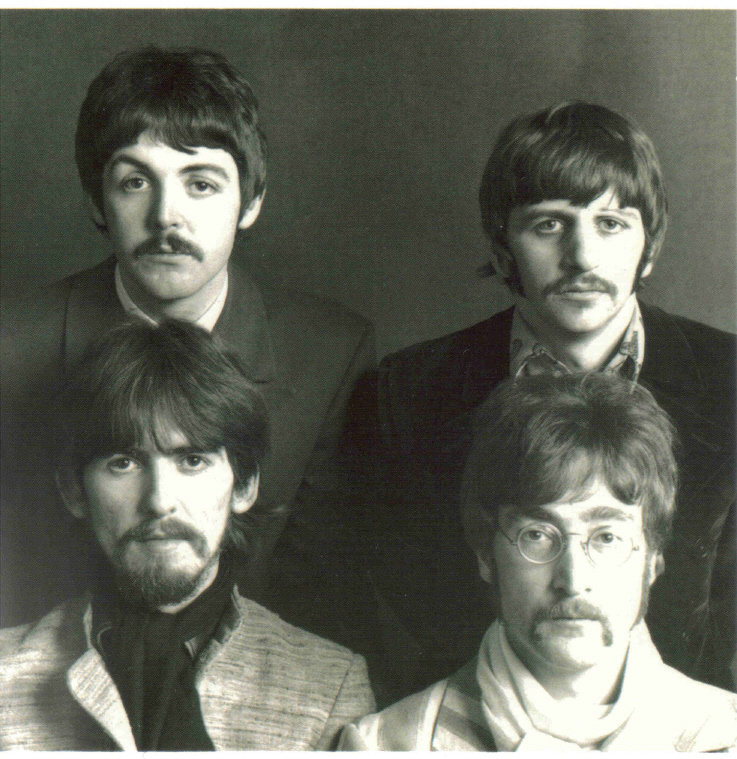 US album version. Very limited edition. 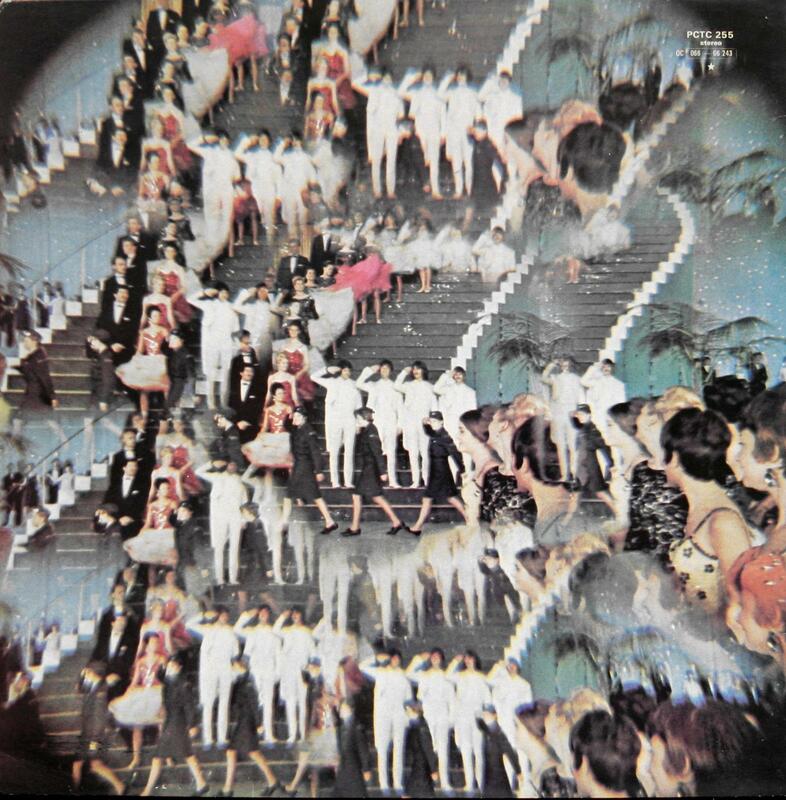 U.K. pressing. Yellow vinyl. Gatefold unlaminated Garrod & Lofthouse Ltd. sleeve with 24-page stapled booklet. The booklet has been made ​​in the USA that is confirmed “Printed in the USA” text in the white circle in the lower right corner on page 24. Textur dlack label has silver print and 2EMI logos and “EMI RECORDS” and “GT. BRITAIN” rim print. The trail off areas have the hand etched matrix number YEX 959-PCTC 255 SIDE 1 and initials “HTM” on the side 1 and matrix number YEX 960-PCTC 255 SIDE 2 on the side 2.